Next Week: College Football Link-Up! By now most of you probably know that my love for football (and Fall in general!) runs deep. You can't grow up in Pittsburgh or go to an SEC school without becoming a die hard fan. With the first games of the college football season starting next weekend I reached out to my good blogger friend and new mama Stephanie from Newlyweds:North to see if she was planning another kick-off week link-up like she did last year. In case you missed it, she did a whole week of fun posts and her tailgate Crock Pot Mac & Cheese is now one of my go-to recipes! Since Stephanie has her hands full with the most adorable little newborn, Gray, she let me take over the link-up this year. If you're not into college football but love a pro-team, that works too! Feel free to check out my Tailgaiting in Style post from last year's link-up! The link-up will go live next Tuesday, August 26th! Write a post about anything football-related: your favorite tailgate recipe or cocktail, tailgate decor, gameday outfit inspiration, your favorite gameday experience, etc. Grab the button, link back to Home Sweet Ruby, and share your link. That's it! Stephanie's link-up was so great last year so I can't wait to see what y'all have in store this year! So exciting, cant wait to join! I can't even wait!! Go Gators!! 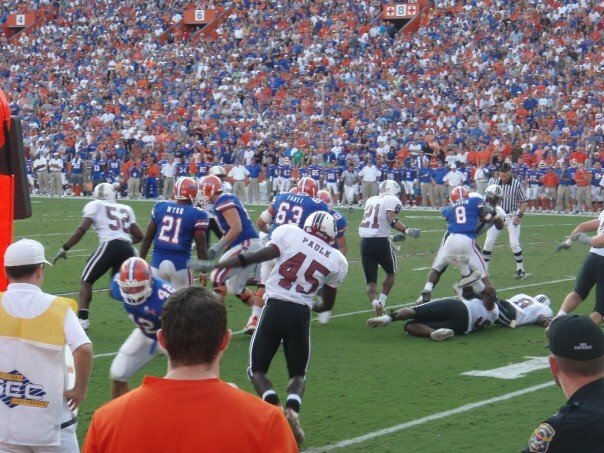 I'll be in the swamp on Sept 13th and I seriously can't wait! Fun post!!! I can't wait for college football to start! 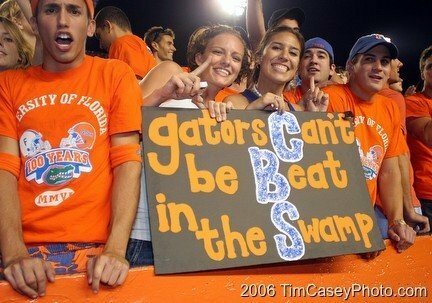 :) And I'll be joining Biana in the swamp on Sept 13th!! Can't wait! I participated in Stephanie's last year so I'll definitely do it again! This looks like it will be SO much fun! Cannot wait! Whoohoo! This will be great fun! Boo - I'll miss the first linkup but will definitely be back for the next one! Why you gotta put a hater pic up?!? :) Can't wait for the link up, and Stephanie's crock pot mac & cheese is a go-to for me now, too! So glad that Cait is carrying the torch for me! And so glad y'all love the Mac and cheese :-) hopefully I can pull myself together and link up with something just as yummy this year! Sweet! I need some new recipes!